A bear sticks his head out of a dumpster. Since April, the Placer County Sheriff’s Department has received about seven calls about bears on the west shore of Lake Tahoe. 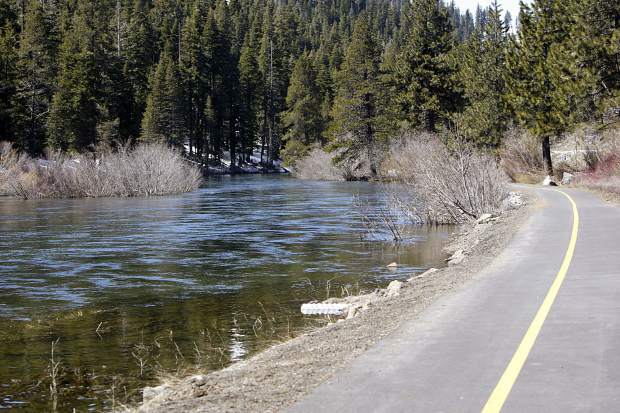 To the north, the Truckee Police Department has had 15 so far this year. But the Washoe County Sheriff’s Office received eight bear calls over Memorial Day weekend alone in Incline Village, and at least half of those were trash-related, according to a spokesman. 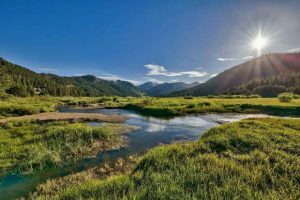 Despite comments from wildlife advocates, locals fed up with trash spills, and even a 2013 article in the Wall Street Journal, Incline Village residents and decision-makers are still struggling to come to a consensus on how to manage their waste so it doesn’t attract wildlife and create conflicts. There is no question that when bears and other wildlife learn they can get food from humans, they come to depend on it. But local government has been hesitant to get involved. 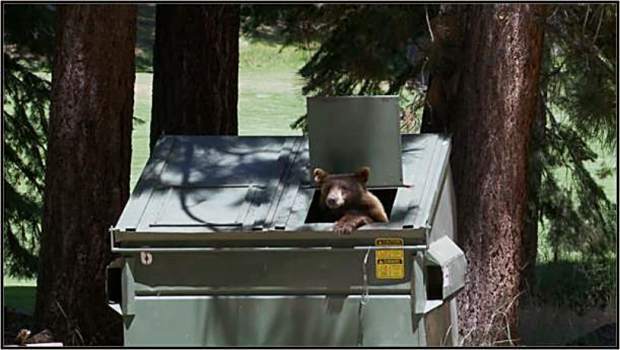 “The County has not considered a county-wide bear/animal proof trash receptacle ordinance because there are many areas of our county that do not have animal problems.” said Washoe County District 1 Commissioner Marsha Berkbigler in an email. Berkbigler said that although the county doesn’t have a wildlife-proof trash receptacle requirement, the Incline Village General Improvement District does have the power to do so. Incline Village is an unincorporated part of Washoe County in Nevada, so a general improvement district handles things like water, trash, and sewer. District General Manger Steve Pinkerton said that most of the discussions surrounding mandatory bear-proof receptacles predate his tenure, which began in 2014. He also said that tat the time there was not a community consensus on a path forward. Beginning in 2005, the district began charging fees for trash violations and added bear boxes as well as a requirement to keep trash contained. The fees ranged from $25 to $250 for violations, according to district documents. Fees were raised to range from $100 to $1,000 by March 2007, and violators were also given the option of purchasing bear boxes in lieu of paying a fee, but active enforcement didn’t begin until 2013 when the trash hotline began receiving a high-volume of calls. According to district documents, bear conflicts in 2012 rose 82 percent over the previous year, and 95 percent of all bear reports to the Nevada Department of Wildlife in 2012 for Washoe County were trash-related. An NDOW Black Bear report shows that 97 bears were handled in Western Nevada in 2013, with 141 in 2014, 121 in 2015, and 71 in 2016. The general improvement district began using volunteers to inspect trash bins in 2013, and in 2014 switched to employee-conducted inspections. Homeowners were granted one warning before being charged a fee of $500 for the first violation of the trash ordinance and $999 for a second violation. According to district documents, the total number of reported trash violations in 2013 was 180, and in 2014 that number jumped to 223. The district board considered mandatory wildlife-resistant trash containers in September and October 2013, but no decision was made since some were concerned about higher costs. Aside from the cost of the wildlife-proof container, Waste Management charges $27.97 per month for trash service with a 64-gallon wildlife cart, compared with $23.01 per month for trash service with a regular 64-gallon wildlife cart. At its March 2014 meeting, the board again discussed mandatory wildlife-proof trash bins but voted 5-0 to table the discussion for another date. At the time, only 33 percent of residents had them according to a staff presentation. Reports of waste violations dropped from 223 in 2014 to 82 in 2015, but some residents expressed concern that the drop was due to a lack of enforcement rather than improved trash containment. At a recent board meeting in May of this year, Incline Village resident Carolyn Stark, who also volunteers for the BEAR League, said during public comment that she believed the district’s zero-tolerance policy was no longer being implemented. She cited records she said showed that 67 percent of recent trash violations recorded by the district did not result in fines. The board unanimously approved a new contract with trash services provider Waste Management in July 2016 with several different price and size options. Incline Village residents were previously required to set their trash on the curb in plastic bags or in containers they purchased themselves, but under the new contract property owners were required to switch to the common rolling cart containers provided by Waste Management. The agreement included mandatory wildlife-resistant dumpsters, carts and park-style dumpsters (which are also wildlife-resistant) for commercial properties, but not for residential properties. An option to rent or purchase wildlife-resistant containers was included for residences, as well a $300 rebate for installing a bear shed. Incline Village isn’t the only community living with bears, but it is one of only a handful without local government regulations mandating the use of wildlife-resistant trash containers. El Dorado County has an ordinance similar to Placer County’s. 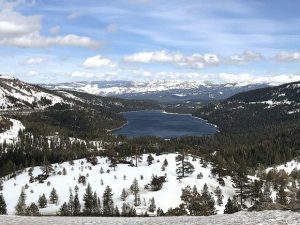 It requires new residential units within Silver Fork, Tahoe Truckee Unified, and Lake Tahoe Unified School Districts to construct bear-proof enclosures, as well as sites that have been deemed by the county to be problem areas. A 2010-ordinance in Teton County, Idaho mandates that residences and businesses in designated “bear-conflict zones,” which are identified as those “in close proximity to known bear occupied habitat or regular travel corridors and or seasonal bear-use areas.” The city of Durango, Colo., as well as the city of Aspen, Colo., have both enacted similar ordinances.